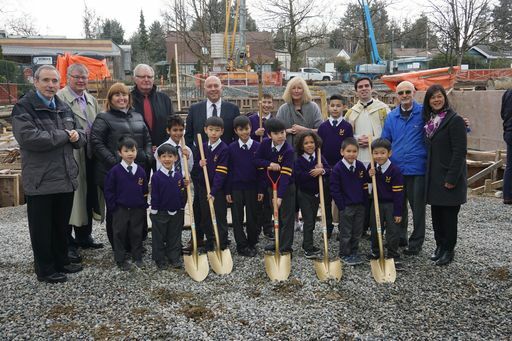 As construction begins on our new Elementary School, members of VC's community gathered today for a blessing and groundbreaking ceremony. Click here for more details and photos of the event! Our Next Century Hits 28 Million! Click here to read the January 2019, Our Next Century Newsletter, including fundraising and construction updates! Read more about Our Next Century Hits 28 Million! 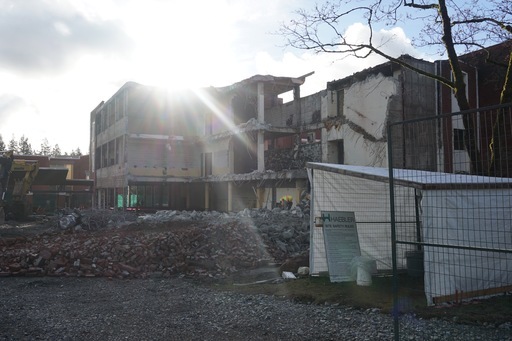 You know what VC's historic school building looked like before and during the first phase of construction, but click here to take a look at what the inside of the school looks like now as it's about to be fully taken down! 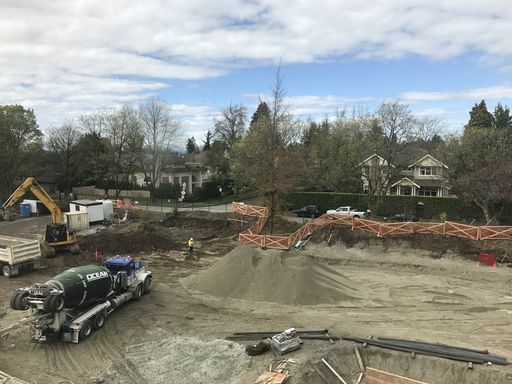 Follow our Construction Update webpage for the latest news. Our school is grateful to have celebrated the Blessing and Dedication of Manrell Hall at Vancouver College. 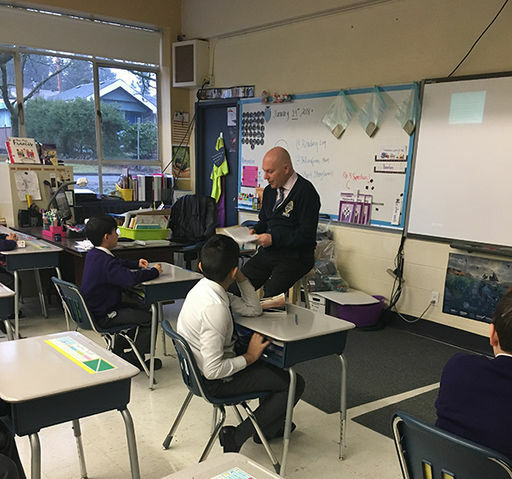 Thank you to Archbishop J. Michael Miller for officiating, to the Manrell family for making everything possible, to our community for your generosity and for all our student volunteers for helping out! See below for pictures of the extraordinary event. From the Director of Advancement - Lighting Up 27! 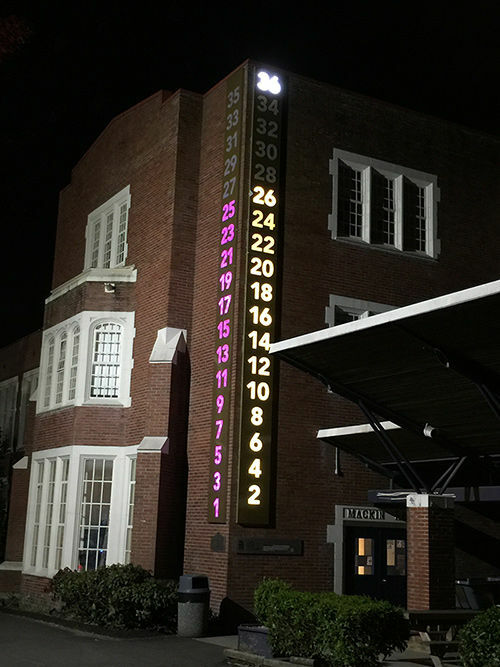 Manrell Hall opened on the 4th of September on time and under budget. I stood by the doors where I felt the excitement and watched the expression on the boys and their parents' faces. Many were amazed with the new learning spaces and in awe that they could actually be in it after 18 months of construction. Nicholas, a grade 8 student, visited me in my new office and said, "Mrs. Cogswell, when you told me at Mayfair that Manrell Hall would be finished by September, I didn't believe you. You were right!" 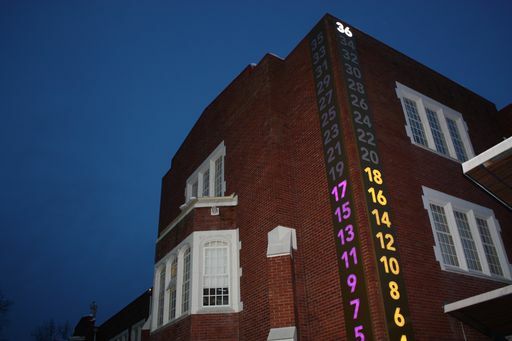 Read more about From the Director of Advancement - Lighting Up 27! 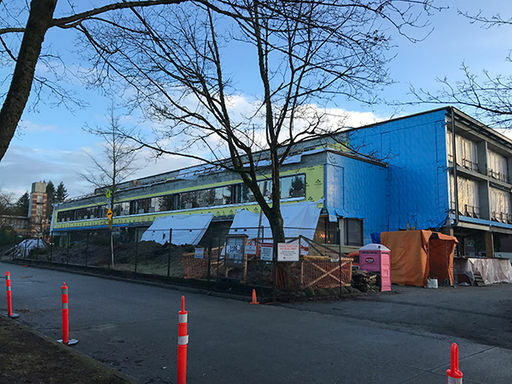 The Vancouver College Board of Directors voted unanimously on May 3, 2018 to proceed with the second phase of our campus redevelopment immediately following completion of the first phase, our new Middle School, Manrell Hall. 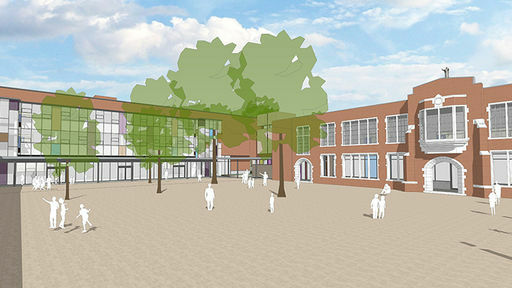 This exciting decision provides a replacement for our ageing, seismically challenged buildings with a safe, leading edge learning environment. It has been three years since we launched our Continuous School Improvement Plan as part of Campus Renewal and Planning Vision. This plan provides a strategic process for ensuring that our faith and learning community is always reflecting, learning and providing exemplary teaching and learning experiences for students, faculty and staff. 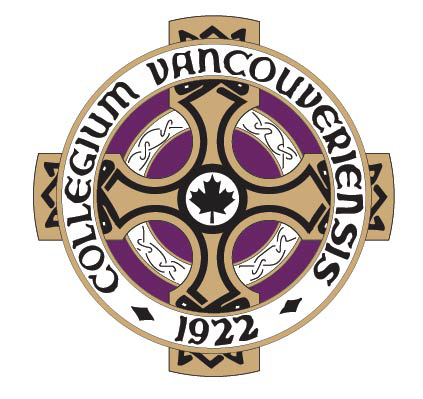 Vancouver College is the great school that it is because of the unwavering support of our community of families, alumni and friends who truly believe in the school's mission. In the last three months, through the generosity of many families, Our Next Century raised $3 Million bringing our cumulative total to $26 Million. The Grade 4 students wrote letters to Principal Bevacqua regarding their "future school" for their class assignment!
" ... I think building a new school is fantastic besides all the expenses. That is nice that I can get a fresh start in Middle School. I'd also like to say thank you so much for all of you efforts and your hard work. I think it really paid off. I predict VC will have another successful and great next century." In the past two months, 265 families joined many other VC supporters and collectively donated $1 Million to the Our Next Century campaign. Vancouver College is excited to share that we have now raised a total of $23 million in cash and pledges! 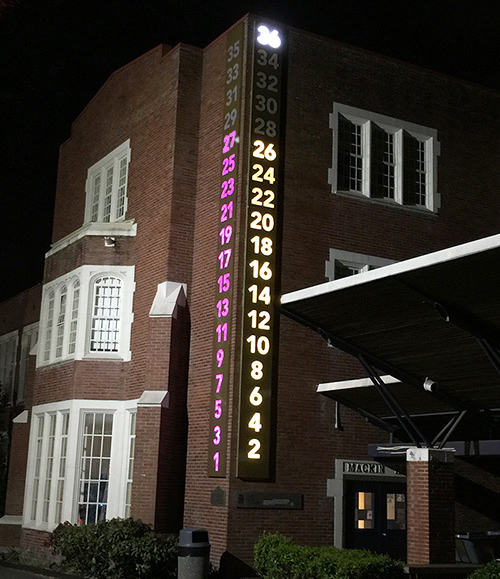 Read more about Lighting Up 23! We recently passed the halfway point in this school year. Wow! Time rushes by so quickly. Nothing tells you that more than the pace of the construction of our new building, Manrell Hall. It will be finished in less than six months! Our Next Century Hits the $22 Million Mark! We gratefully announce that we have now raised $22 million for Our Next Century! Vancouver College is thankful for the dedication and commitment of our supporters. 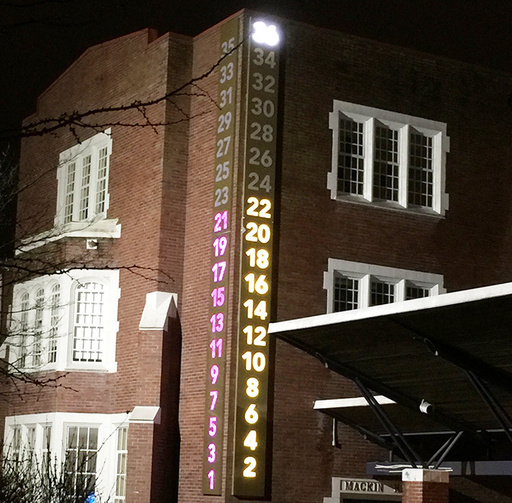 Read more about Our Next Century Hits the $22 Million Mark! November 4, 2017 marked the 39th Annual Finnegan Ball. 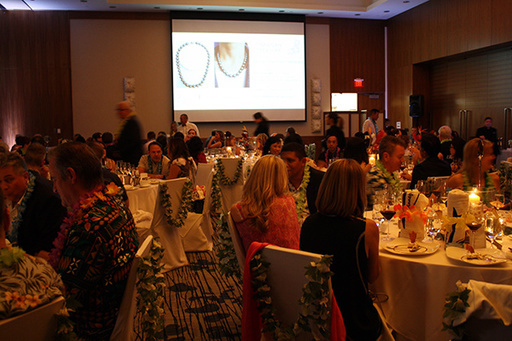 Through our community's generosity in the form of advertising, sponsorship, and in-kind gifts, and guests purchasing items from the auction or donating to the Fund-A-Need Experiential Learning appeal, a total of close to $260,000 was raised that evening. 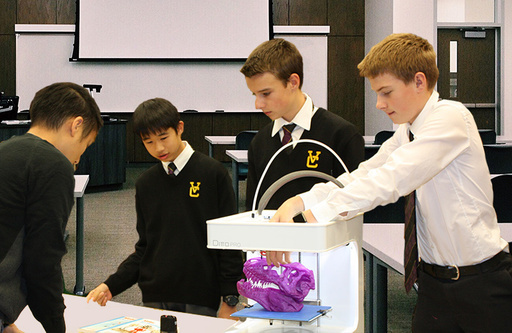 The special appeal was for technological resources in the new building such as 3D printers and scanners, laser cutters, and mobile makers kits, which will enhance our boys' educational experience and better prepare them for the future. 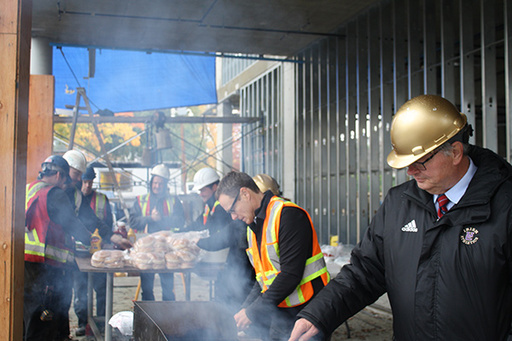 On the 2nd of November, Vancouver College and general contractor Haebler Construction Ltd. celebrated the topping-off of the roof on Manrell Hall with a barbeque for its workers in gratitude for their good work. 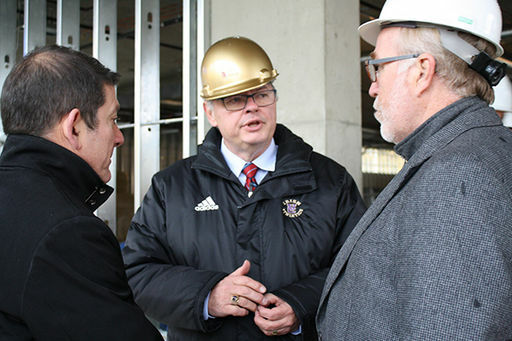 The construction workers, engineering consultants and architects, and Nick Maile, VC's Project Manager, gathered under the new roof and enjoyed the burgers grilled by President John Nixon (VC'69). Christmas is coming quickly and the boys are looking forward to a break from classes. 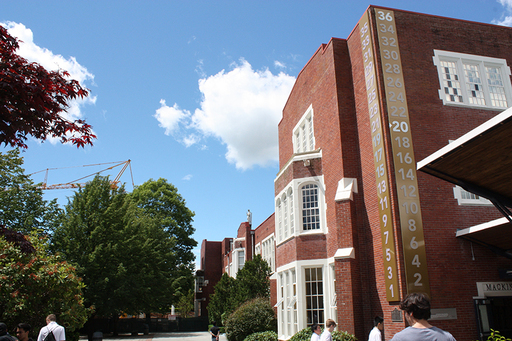 The fall has been a very busy time at Vancouver College and much has been accomplished in the classrooms, playing fields and our many artistic programs. 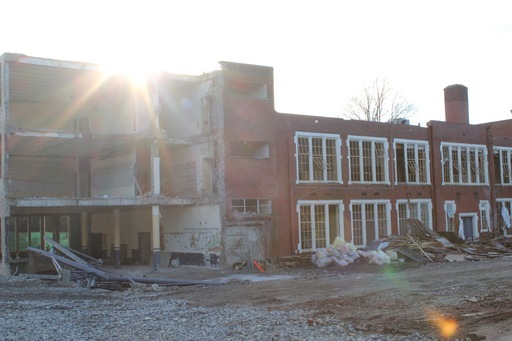 We have also made tremendous progress in the construction of the first phase of our campus redevelopment, Manrell Hall. We remain on schedule and expect to be open next September. The Advancement Office is pleased to welcome its newest team member, Linda Foster, in the role of Advancement Officer – Major Donors. Every September brings the excitement of a new school year with a fresh start. We welcome families, students, faculty, and staff back to school and wish them all great success. Last year around this time we publicly launched Our Next Century Campaign and next September we will, as always, welcome everyone back to campus, but with the added excitement of starting the new school year inside our new Middle School, Manrell Hall! 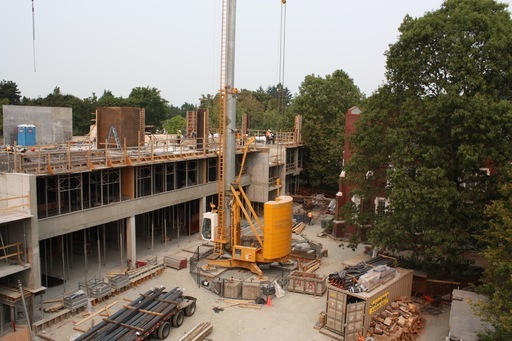 While students were enjoying their summer holidays those working on the construction of Manrell Hall were very busy! Vancouver College humbly thanks all supporters of the Our Next Century campaign. 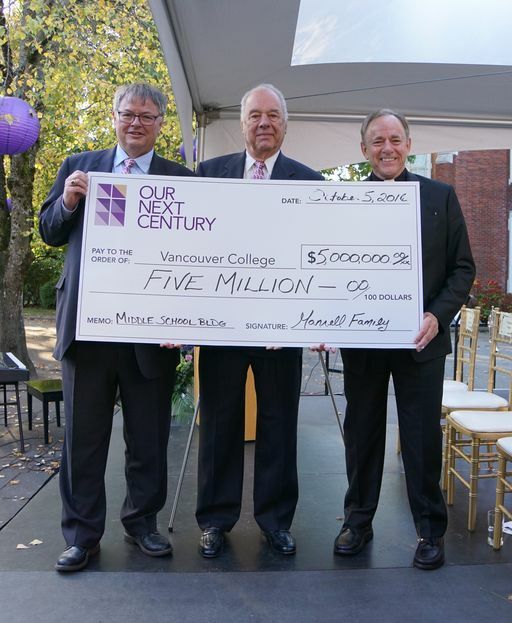 Vancouver College closes out the 2016-2017 school year with the exciting news that the Our Next Century campaign has, to date, raised $20.5 million, meeting the campaign's three-year goal. We have so much to be grateful for as we close out the 2016-2017 school year. 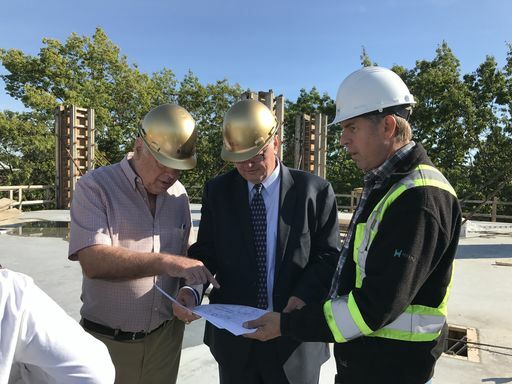 The arrival of spring marks another milestone for the Vancouver College campus redevelopment project as this month we received our Development and Building Permits. 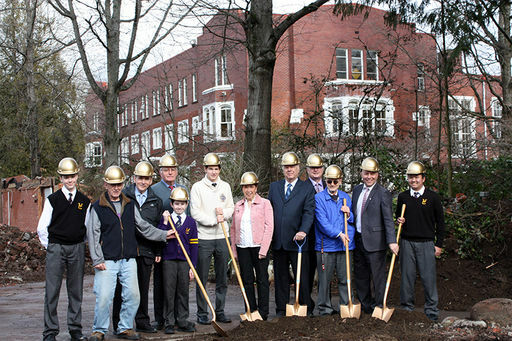 On February 16, 2017 Vancouver College broke ground on its new Middle School, to be named Manrell Hall, ceremoniously marking the beginning of the next phase of its Campus Redevelopment. In October, we officially launched Our Next Century. We talked about the campaign. We asked for your support. 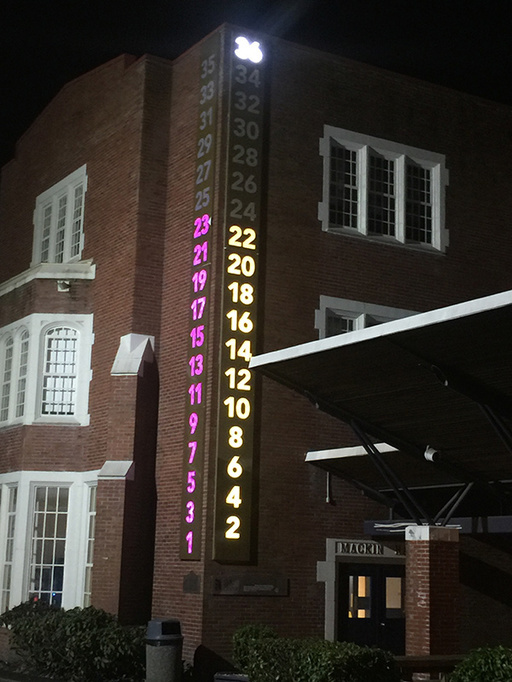 Since then, we have been working tirelessly to ensure the momentum and excitement generated at the launch keeps gaining ground.... and our thermometer outside the cafeteria on the wall of Mackin Hall gains height! It's an exciting time around campus! Starting yesterday, the Brothers' Residence has been carefully dismantled which moves us closer to breaking ground on the new Middle School, Manrell Hall. The dismantling is anticipated to be complete by the end of the week. What follows next is the sorting of materials into waste, recyclables, and reusable resources, which is scheduled to take a few weeks. 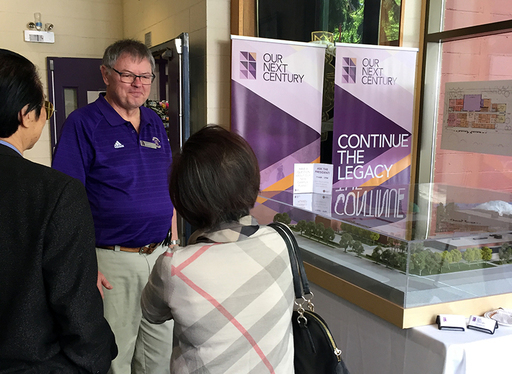 On Wednesday October 5, 2016 over 400 people gathered at Vancouver College to help launch the boldest initiative in the 94-year history of the school, the Our Next Century Campaign.